It seems Clarks has discontinued the bearing and hub assembly, unless I'm looking in the wrong pages. Just need either the bearings or complete hub not gaskets and spacers. They now have the aluminum hub assembly. 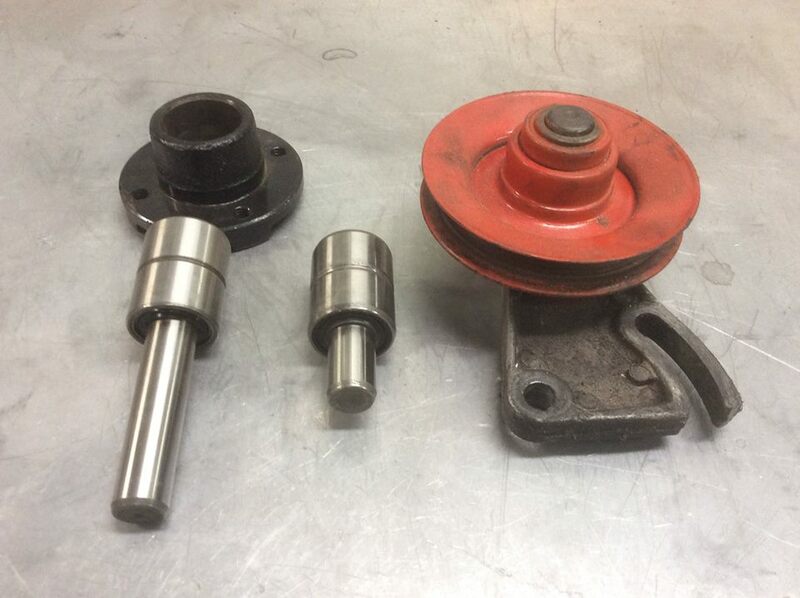 I have 2 rebuilt GM fan bearing and housing assemblies I will sell for $75 plus shipping. I seen the listing 10&12 but page 15 was the high lighted page. Found what I need, thanks guy's. It's hard to find in their index pages. Blower bearings is the key. They don't use fan bearing because it isn't a fan, I guess. Lane, is the C7740 that Clark's sells the same one that Ray Sedman produces? It isn't listed in the Clarks index under blower, fan or bearing but it is on Page 10 of their catalog. The index does not take you to just the bearing only. I do like Clark's, but I must say that their website is a bit, uh Clunky. 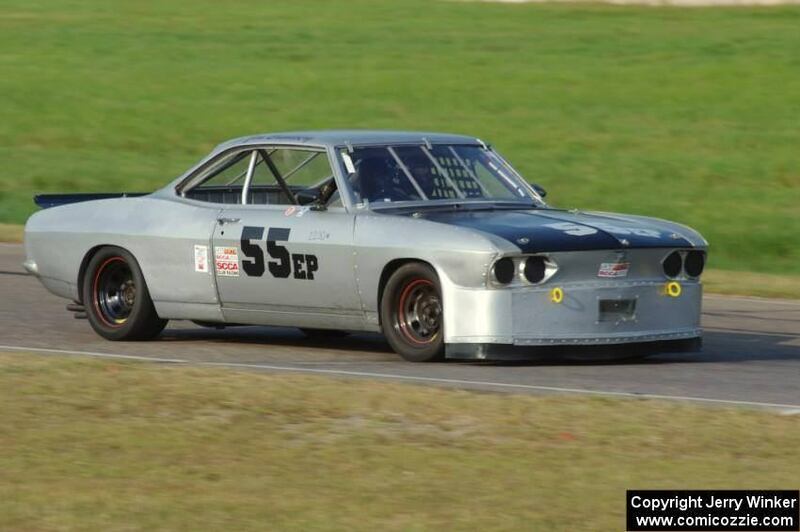 I call California Corvair's and say, "Hey! I need a blower bearing and idler bearing" the next day they are on my front porch! It is in the papaer and online as blower bearings. I don't know who makes the aluminum housing. You have to ask Clark's. I have bought a lot of things from Clarks and this is the only time I couldn't locate from their on line catalog what I was looking for. I was e-mailing with Cal about something else and brought it to his attention. They are working on the next catalog. I wrote "Fan Bearing P10" on the top of my F Index page. 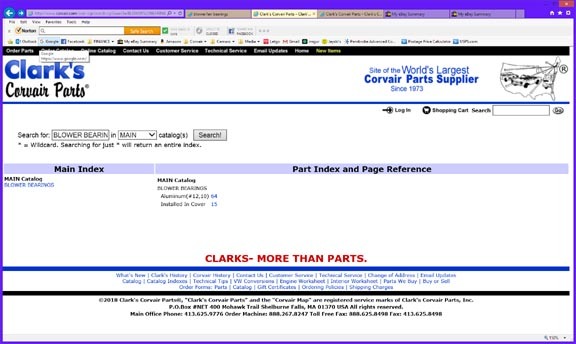 Corvair Parts online catalog (and probably paper catalog) needs to call out page 10 for all the BLOWER Bearings. Seems you can't get to what you want with the current indexing on this item. i just look at the picture to find the number, that way I can find it if I don't know what its called. Found many dothingys. I have never had a problem finding anything in the Clarks catalog, I love the on line catalog, it's a wealth of information and very well laid out IMO. I am referring to the printed catalog. I'm thankful for their catalog but the index has tons of omissions and broken links. Most of the links that have a page range don't work. I have yet to figure out what switching the catalog in the search page does. Doesn't seem to do anything. It does appear to work from the search results page. If you find a broken link, then email them and let them know. They can't fix what they aren't told about. That is the nature of computers, sometimes a link gets corrupted, and has to be manually corrected.